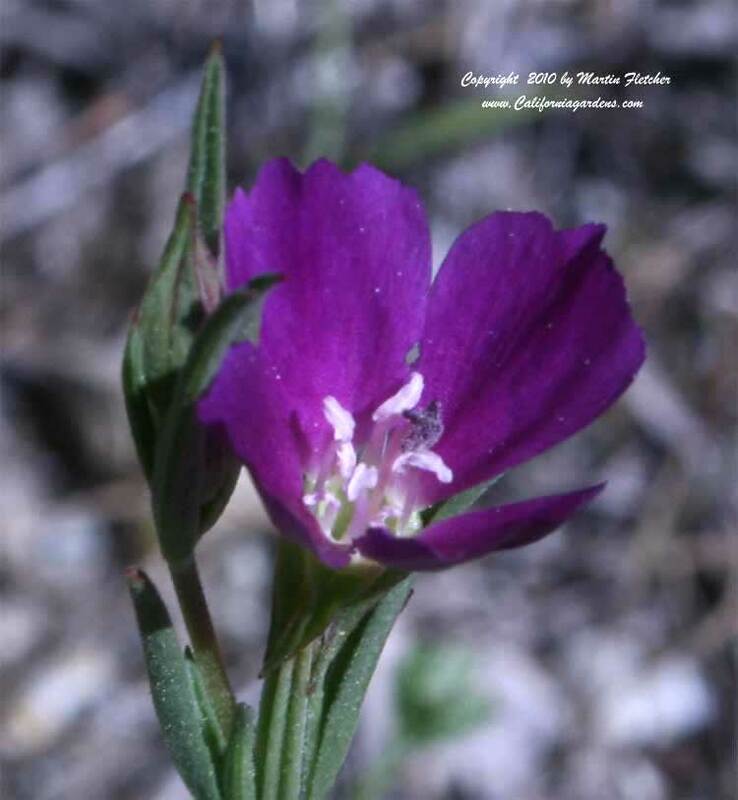 Clarkia purpurea v. purpurea is enjoyed thoroughly when it is included in seed mixes. The Winecup Clarkia puts on a great show in the late Spring. It can often be found in a grassland or shrubby setting near the coast the length of the state, extending down into Baja, and up to Washington. I spread wildflower seeds in October or November with the first rains. Flowers and foliage of Clarkia purpurea purpurea the Winecup Clarkia. High resolution photos are part of our garden image collection.